There’s décor I like, and then there’s décor I can’t. stop. thinking. about. Every week I showcase an item the team is currently obsessing over, aka a “Funk favorite.” This is a great year for metallics. Warm copper highlights seem to punctuate every in-vogue space: from artist lofts, to rustic farmhouses, to high-rise apartments. 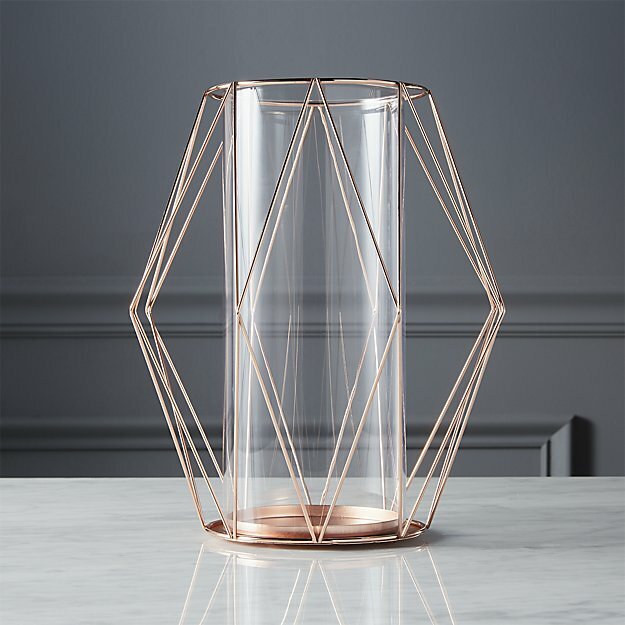 Modern mogul CB2 feeds the buzz and rises above the crowd in the best kind of way with its clean-lined mcguire copper hurricane, a love letter to geometry cast in sleek facets. As an elegant addition to any dining centerpiece, the intimate warmth of its design speaks to a cozy, contemporary vibe. 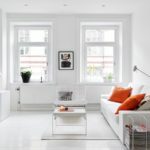 CB2, a brainchild of design staple Crate & Barrel, was formed with the intention of providing elegant, of-the-moment furnishings at competitive prices. The hurricane’s design evokes these qualities, demonstrating both a sharp perception of modern trends and an unforgettable style. Its sculpted, diamond shaped arcs will perfectly frame any flame you choose to light.